Thanksgiving has always been one of my favorite holidays, mostly because my family always go all-or-nothing when it comes to the Thanksgiving dinner. My mom, sisters and I have a system where each person makes at least one dish in order to make sure everything is ready before it gets too late in the day. Our dinner usually consists of a larger than life turkey, a spiral ham, candied yams (my personal favorite), macaroni and cheese, greens, stuffing, cranberry sauce, and of course a pumpkin pie. Even with a huge family consisting of ten plus friends, the food is never completely gone before Thanksgiving is over. In fact, we often find ourselves with a ton of leftovers for weeks. For the three or so weeks that are between Thanksgiving and Christmas, my family doesn’t cook much. We just reheat the leftovers. But this can get boring really, really fast. But this year, I found a way to stomach these leftovers for the next three weeks. By combining freshly cooked food with the leftovers, I have found a way to not go completely insane with the monotony of the same leftovers over and over again. So, I have put together three of my favorite dishes that I love to make with the Thanksgiving leftovers. 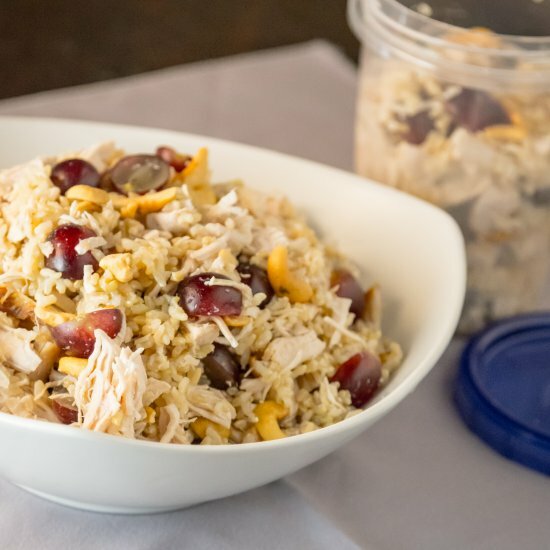 Starting off the list is a little play on what I make all the time–chicken and rice. But instead of chicken, I just reuse the leftover turkey. If I am feeling a little creative, I take my plain dish into something a little more exciting! I love to add Litehouse’s fresh cilantro to my rice in order to add a bit more flavor. I got this idea from my everlasting love of Chipotle. When the cilantro rice is finished, I love to throw in some corn and beans to the dish, too. This is a great dish to eat at home or in the office. It is easy to pack into a container and it tastes just as good reheated. So I guess you’ll have leftover leftovers? Weird. This sandwich is perfect for those who have kids or kid-like palettes like me! It is pretty much a cheese sandwich with leftover ham. 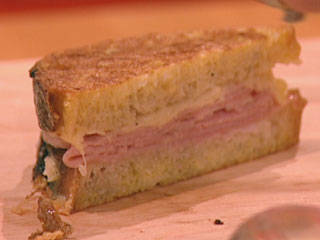 There are a few tricks that I often do that makes this sandwich one of my faves. Instead if using regular old American cheese, like to switch is up by using provolone. It’s perfect for cheese sandwiches because it melts perfectly so that you can get that pull apart effect that everyone loves to do when there’s a fresh grilled cheese in front of them ( I know you still do it!). Then, I like to use a spreadable butter in order to cover one side of the bread slice before I put it in the pan. This makes the butter cook evenly across the sandwich and you get the perfect brown color. Unfortunately, this is not a good reheated meal like the rice and turkey one above. This is more of a “get it while it’s hot” meal. I like to call this the perfect turkey salad because it really hard to mess up. I am a chef by absolutely no means so having fast and easy meals are an absolute must for me in order to just survive. When I first made this, I hadn’t gone grocery shopping so I just used whatever I had in the fridge and hoped for the best. This is something my mom did from time to time when she didn’t make it to the store that day and her “experiments” usually, turned out pretty well! 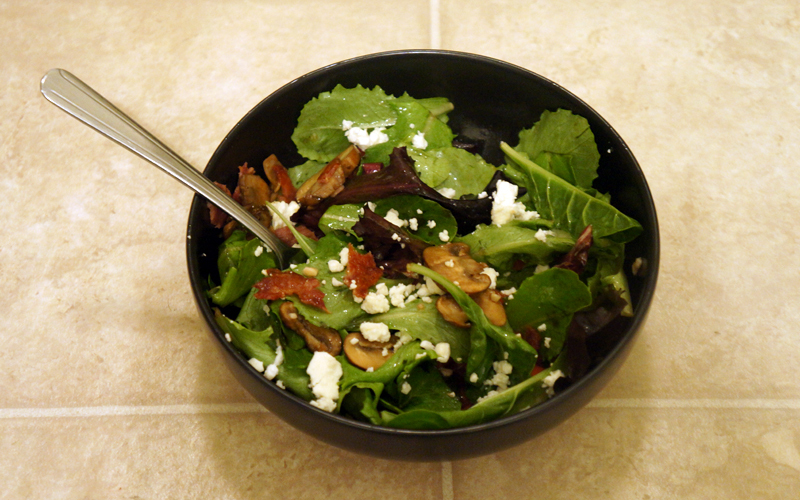 After cooking a few slices of bacon and grilling up a few mushrooms, tossing some leftover turkey, romaine lettuce and Litehouse’s Feta cheese really had this salad looking good. To top it all off, I added a bit of Litehouse’s balsamic dressing. And it was finished. I honestly surprised myself with this salad! Almost gourmet, no? So these are my newest meal creations for my Thanksgiving leftovers, what do you all think? You can try out any Litehouse product by buying online by using this coupon, you can have a dollar off! But be quick, this coupon expires in January. But this article isn’t over just yet! As you all know by now, we, at Miss Millennia Magazine love giving our readers a ton of different sweepstakes and contests, so here is another! Between November 17th and December 17th, Litehouse is offering someone with the perfect amount of chef skills and photography genius $1,000. But taking a photo and uploading it up to Facebook, Twitter, or Instagram and adding #LitehouseHolidazzle, the winner could be you! Previous Post: « The Female Reproductive System—Facts For You to Know!